Whether you are planning a mural or a large scale painting, a projector can be an invaluable tool that not only helps with productivity, but also translates to accurate and terrific results. 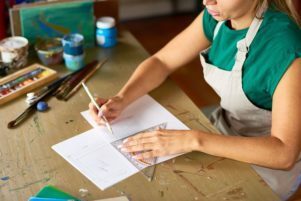 A quality projector for artwork should be able to work easily with the scale of the piece you plan on painting, have a modern interface that is smartphone friendly, and can be portable so you can take it outdoors or anywhere around your studio with absolute ease – like the Artograph Flare150 Digital Art Projector. In this review and guide we go over a few key factors that you must consider before purchasing an art projector, along with in-depth reviews of the most popular and widely used projectors that are fixtures in art studios across the world. Artograph Flare150 Digital Art Projector $$ Digital 7-87 in Yes Yes Y 150 1.1 lbs. 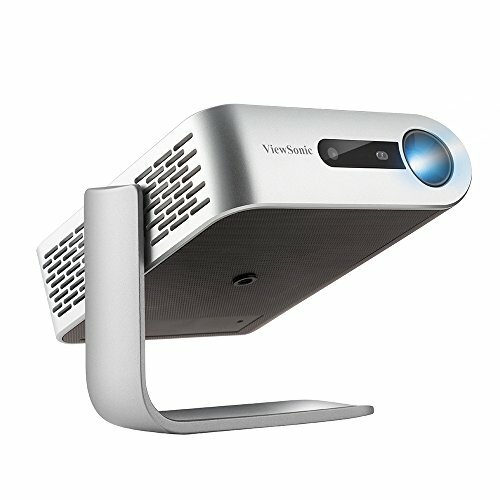 ViewSonic M1 Portable Projector $$ Digital 20-100 in Yes Yes Y 250 1.5 lbs. Nebula Capsule Smart Mini Projector by Anker $$ Digital 20-100 in Yes Yes Y 100 15 oz. APEMAN M4 Projector $$ Digital 30-100 in Yes Yes Y 50 1.2 lbs. 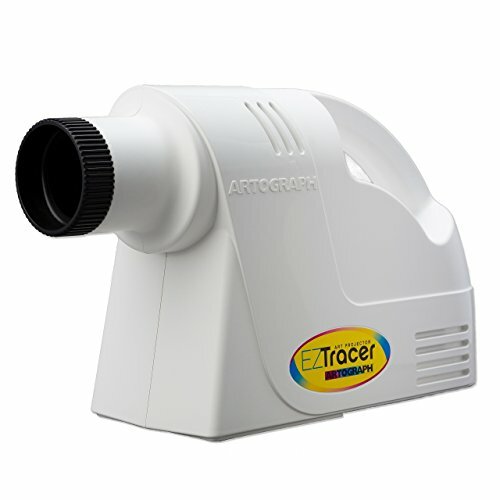 Artograph EZ Tracer Art Projector $ Opaque Up To 20 in N/A No N 1600 2.15 lbs. Depending on your use case, the size of the projector could be critical. While many of us remember the old bulky projectors used in high school or business meetings, some projectors of today can fit into your pocket or purse with absolute ease! But of course, given the smaller scale, you do have to compromise on a few features – namely the brightness (lumens), projection size, and resolution. Opposite of the portable projectors you will find more traditional ones that are a bit larger. These often have a much brighter output and can give you better color representation. As often the case with most electronic devices, the more you spend, typically the more features you receive. So, if you are looking to get the latest and greatest projector technology into your studio, then you should expect to pay a several hundred dollars. However, for student or beginners looking to paint their first large scale piece and are still unsure if this type of painting is for you, don’t fret, as you will see below, we were able to find some terrific value projectors at a fraction of the cost. If you plan on using your projector with an Apple laptop, Windows laptop, iOS, or Android, all of these systems will likely have completely different ports and plugs that you need to use. Luckily many of the modern projectors of today have made strides in this area and provide connections for just about any device imaginable. The biggest restrictions to be mindful of will be around portable projectors. They typically have a limited number of connections. So, if you are using a less popular source for your image, you will want to take notice of the ports available. …but they do have upper limits. If you push a projector past its limit, the image will not only darken, but also become blurry as well – this can of course be tough while painting. For super large-scale pieces, you will want to get a projector that is plenty bright and is capable of displaying larger than life images. Cinema-centric projectors will be best in this scenario. One baseline feature that you should always know about the projector before purchasing is its brightness, or lumens. Lumens (or ANSI lumens) are a precise measurement on the quantity of light that is emitted by a projector (source) . The most important thing to know here is that the more lumens the better – especially if you plan on painting outdoors. The brighter output of the projector, the less you have to worry about ambient light altering the image. So, if you want to do a painting with all the lights on in your studio while having the assistance of a projector, then go with a projector that has at least 150 lumens. In the world of projectors, there are two main categories: digital and opaque. Digital projectors are likely the ones you are already familiar with – they connect to a phone or computer and can display anything at a much larger scale. Older readers here likely have seen an opaque projector while they were in elementary school. These are the classic projectors that are much more ‘analog’ and require a dark room in order to operate. Opaque projectors can help to enlarge pictures, illustrations, and even 3D objects – so if you plan on blowing up your sketches into large scale painting or mural– an opaque projector will be a great choice – especially if you want to avoid the added cost of a scanner for your artwork. The most popular digital art projector by far is the Artograph Flare150. 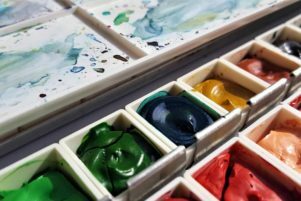 Designed for the modern artist in mind, it has many features baked directly into the system that make painting or drawing large scale pieces much easier. With a wide range of 7 to 87 inches, it can easily go between small and large scale pieces without any sort of loss in edge clarity. 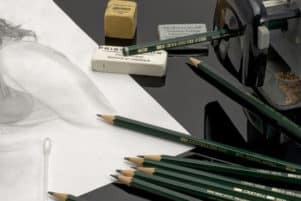 Of course, nothing is really preventing you from going beyond the 87” – but just know that you will have to take some creative liberties in order to keep the lines sharp. But scale variance aside, another standout feature of the projector was the power options. If you are painting in your studio, you can use a standard outlet to keep it powered for hours on end. But when doing outdoor work, the Flare150 has a built-in battery that can run for 2.5 hours before needing a recharge. Like the Nebula Capsule, the Flare150 smartly includes a tripod mount so you can get the projector to just the right height or even mount it overhead while working – again, this helps to prevent any sort of distortion in your final piece. Lastly, and perhaps the biggest advantage of this projector is the digital art modes that are included. 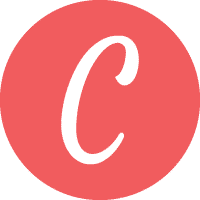 Not only can you easily overlay a gird, crosshatch, circles and more (36 options total) over the projected image, but you can also adjust the image color without having to make adjustments in a separate photo editing app. Overall, this is simply the best projector for artists today. With so many onboard options, superb image resolution, scale variance, and a passable 150 lumens, it’s no wonder why this is a studio staple for many. A worthy alternative to the Nebula Capsule and APEMAN M4 we also reviewed is the ViewSonic M1. This award winning compact and ultra-portable projector is perfect for outdoor and studio use. With an impressive battery life of 6 hours, it easily outshines just about every other portable projector on the market. As noteworthy as the battery life is, the ViewSonic M1 also has equally good max projection size (100”) and brightness (250 lumens). Therefore, you can confidently use this projector in a well lit room with no problems at all. The generous lumen count should be able to penetrate a canvas or linen surface with ease. But like most popular projectors, this one unfortunately is lacking on any art-centric software upgrades. So, no grid lines or heavy image manipulation will be baked into the device. While we don’t want to go too far beyond the scope of today’s article, we would be remiss if we didn’t at least talk about the entertainment value of the ViewSonic M1. Given the high lumen output from this projector (especially for the small size), it will be able to produce vivid colors for watching movies or TV shows. The on-board 360 degree sound is also pretty amazing as well (this can also be used as a speaker if you want to listen to some inspirational music while painting). 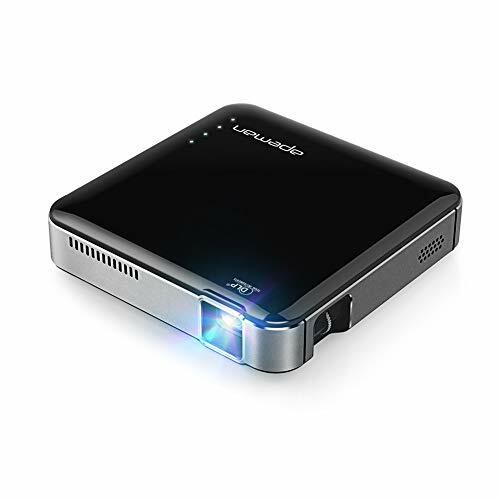 Overall, this is the perfect little portable projector. Not only does it have a terrific lumen count, but the long battery life make it perfect for long painting sessions. The Nebula Capsule by Anker is the perfect digital projector to use both in and out of your studio. The size of a soda can, this 2018 IF Design Award (2018) projector has just about everything you would need. A lightweight design of 15 oz., 360 degree sound, projection scale between 20 and 100 inches, and various streaming services connected to use as your own personal movie theater when you are taking a break from making art. But as great as the ‘fun’ stuff is – the focus we care about here is for artistic purposes. The Nebula Capsule isn’t only smartphone friendly, but it can easily sync up with most devices including a flash drive, laptop, or anything really that has an HDMI out plug. But one feature that isn’t really advertised, and one that will make painting large scale pieces and mural much more manageable, is that on the base of the Nebula Capsule there is a standard tripod screw (1/4”). This means that you can mount your projector to your preferred height in order to prevent any sort of distortion or skewing in the final image. If there were any major drawbacks to the Nebula Capsule, and this is likely due to its small form factor, it will be the lumens. At 100 lumens, it’s not nearly as bright as some of the other projectors we reviewed, but should be fine for most use cases so long as you dim the lights. Overall, if you want a killer all in one projector that is perfect for making large scale art, and don’t mind paying a premium for the small form factor, then the Nebula Capsule is a solid choice. 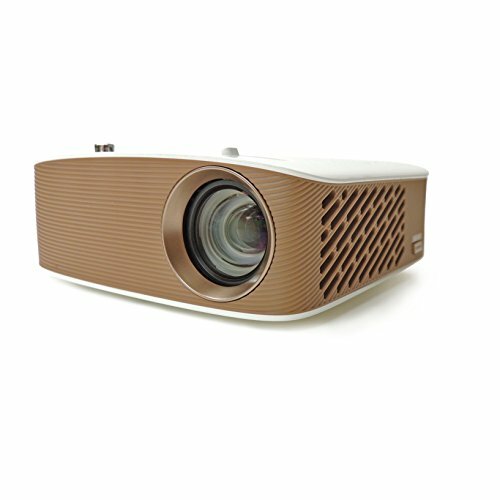 While the Flare150 is a noteworthy portable projector designed with the artist in mind, the Impression1400, also by Artograph, takes it a bit further with this professional level offering. While one of the priciest options on our list with a retail price north of $1,100 (at the time of publication), it’s geared directly for those of you who make a living with their artwork. But what makes this projector so great? At 1400 ANSI lumens, it’s among the brightest projectors on our list. This is critical for many reasons. Should you be doing a large-scale painting in your studio, the projector can easily penetrate a canvas or linen surface in an incredibly crisp and detail manner – translating in better results from you. While this projector is absent of any built-in battery, likely due to the required power draw from the incredibly bright bulb, it still can be used outdoors for mural work (just don’t forget an extension cord). With a max scale of 120” (10 ft.) from 12’ away, you can clearly project an image on to a side of a building without any clarity loss. Going beyond the recommended 12’, you will experience some edge blurring in your projected image. But in order to compensate for this, you can chop up your image into a photo editing app and show each section independently. While they probably shared the same manufacturing facility, the biggest difference between these two projectors will be the on-board digital options. Like the Flare150, the Impression1400 includes several grids (22 total) and image color options that were designed for art making applications. This will be the biggest difference between the Impression1400 and the LG PF1500. Overall, while this projector is expensive, it’s one of the highest end projectors on the market that has been designed with the artist in mind. If you don’t mind the lack of an on-board battery, and are looking for accurate image projection in your studio, then the Impression1400 is definitely worth a consideration should your budget allow. This is the first thing that came to our minds when we came across the Epson Home Cinema Digital Projector. Able to project images up to 300” (25’), it is an uncompromising projector that can work for a massive piece that you have planned. While this projector is made for home theatre use, many of its key qualities can be used for artwork as well. First and foremost, image quality. With both vivid colors and a high 15,000:1 contrast ratio, there will be no doubt on the color output of this projector. As impressive as the color representation may be, another noteworthy feature of this projector is the brightness. At 3,100 lumens it’s the brightest projector on our list by nearly 1,500 lumens. You can have the lights fully on in your studio and still see the image completely fine – a huge benefit compared to many of the smaller portable projectors we reviewed. But given that this is designed for cinema use, it does have some major drawbacks when utilized for your artistic endeavors. This digital projector is heavy, lacks any tripod mount, and contains no onboard battery. So, once it’s set up in your studio, you will have to either rig a stand yourself, or work around the projector – not optimal. Overall, this can easily be used for artwork, however, we would only recommend it to those artists who need to paint a large-scale piece and also want an upgrade to their home entertainment at the same time. Competing squarely with the Nebula Capsule, the APEMAN M4 Projector is the perfect little pocket projector to take with you. With a battery life lasting a couple of hours, you should be able to get quite a bit of work done before it needs to get plugged in again. While the size is perfect for this type of projector, where this could be really beneficial for artists is that it also includes a tripod mount. This projector, especially compared to many of the others on our list, has the lowest lumen count. With a 50 to 100 ANSI lumen count, it won’t shine nearly as bright as many of the Artograph projectors we reviewed. So, if you are looking for precise colors and lines, we would recommend going with others on our list. But if you want to take some creative liberties and only need a projector as a general guide, then this can still work for you. Like most consumer-focused projectors, the APEMAN M4 lacks any sort of grid overlay. So, you will need to alter your images in a photo editing app prior to projection. 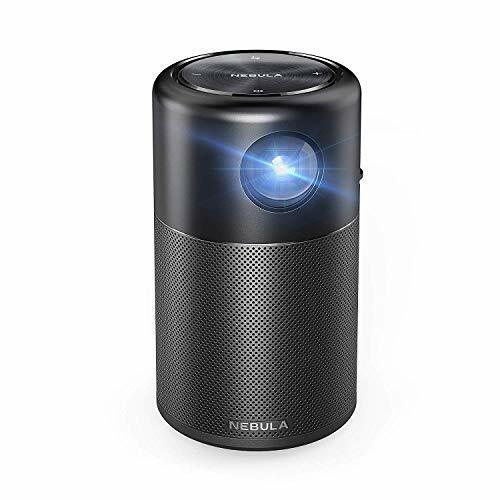 Overall, if you want a pocket-sized projector that is a bit more affordable than the Nebula Capsule, then the M4 is worth considering. It also can be great for personal use if you want to watch any shows on a bigger screen. The little EZ Tracer by Artograph might be everything you need in order to blow up a small-scale drawing into a medium scale painting. With the ability to enlarge images and small 3D objects up to 5 times its size, it can fill most surfaces that are around 20” in length. For those artists who want to go beyond the limitations of the 4” x 4” capture tray, we would recommend employing the grid method and piece together a painting in multiple captures. When it comes to portability, it’s somewhat limited as it requires an plug to operate – so outdoor paintings will need an extension cord to travel with the EZ Tracer. A few other details that we really loved about this projector is that it uses a standard 100-watt lightbulb (not included), which generates approximately 1600 lumens. Just make sure that you use a LED or CFL light bulb as a household incandescent bulb will generate too much heat and become a fire hazard. 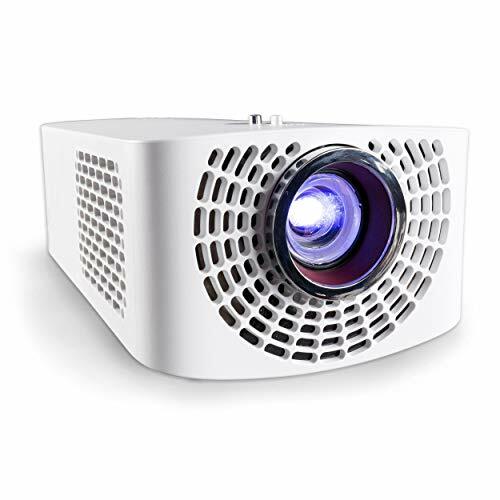 Overall, this is a simple no-frills opaque projector that is incredibly affordable and might be able to get the job done. Just be aware of its many limitations. Do I Really Need To Get A Digital Projector With Grid & Image Manipulation Built In? While there is a wide selection of digital projectors on the market, only a handful actually allow you to overlay a grid or change the colors of the image (mostly any Artograph brand of projectors). Now if you want to go with a projector without this really convenient feature, then you will have to use a photo editing app (i.e. Photoshop) to make the required assistance. 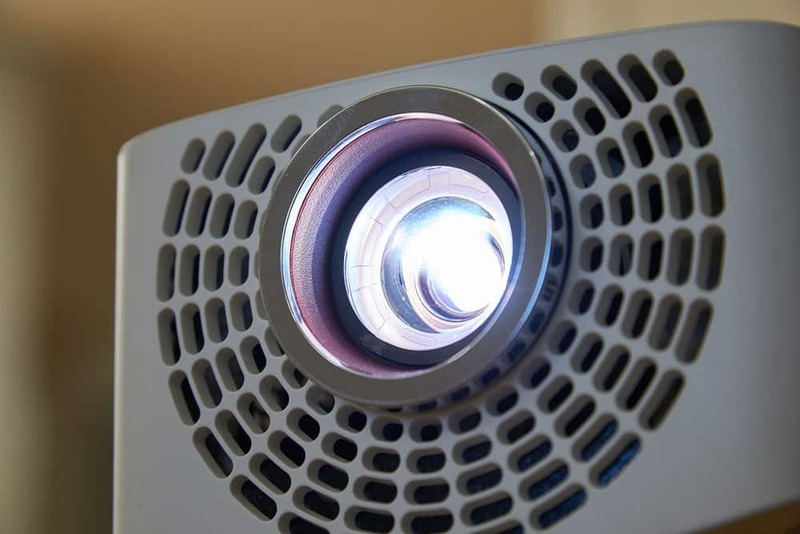 To get the most out of your projector, a dimly lit room will always be best (having it completely dark may make for harder color reproduction with your medium and opens you up to potential accidents). Now if you go with a projector that is at least 150 lumens, it should have enough power to project a clear image onto a canvas while all the lights are on. How Often Should You Change The Bulb Of Your Projector? Based on our research, we found that most modern projectors will have a working life up to 45,000 (that’s 1,875 days or just over 5 years) of continuous use. So, it will likely never be a worry about bulb replacement. In the event that the bulb does burn out or break, check the warranty and contact the company directly for potential replacement. Selecting the best art projector in 2018 wasn’t easy, with so many great consumer-oriented picks available, there has never been a better time than now to add one to your studio. But as great as the selection may be, the reality is that we simply didn’t have the resources to look at every single digital and opaque projector that exists on the market today. However, based on several hours of research, reading reviews, and seeing what our fellow artists had to say, we feel confident that any of the above projectors should serve your next studio or outdoor mural piece incredibly well. Now if you feel that we should review any others, please let us know and we will consider adding it to our list!